SmarTork of Boerne, TX has recently launched its much-anticipated spirator elevator hoistway door closer, which has received rave reviews in pre-production trials and promises to solve an age-old door-closing problem caused by wind. The company stands poised to begin manufacturing 2000 reel closers a week. This brings to fruition a novel engineering effort that began many years ago. Kelly Marshall conceived the SmarTork reel closure in 1986 in conjunction with his sons Dean and Chris. The family ran an elevator business, and Dean needed ideas on how to stop persistent callbacks involving elevator doors subjected to high winds on the Gulf Coast. Kelly sketched a conical spiral that might solve the problem, citing the design used on garage door closers. Dean gathered garage door parts from the company’s garage door repair division and combined them with elevator parts to design the first prototype. Kelly spent years on research and development, eventually using plastic mold injection to make cost-effective parts and create an operational prototype. He put a business plan together and arranged financing. But Kelly passed away in 2004, putting his dream on hold until October 2010, when his Chris and his family picked up the reins. 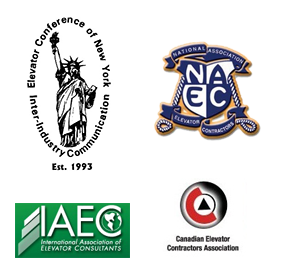 They started SmarTork Inc. in 2010 and officially launched their door closer at the 2011 NAEC (National Association of Elevator Contractors) Exhibition in New Orleans. The company has teamed with an injection molding company and a spring manufacturer to develop tooling and produce production units. Development of this product stems from the fact that elevators everywhere experience wind problems. For starters, all elevator shafts vent to the outside, as required by fire codes. “Any time somebody opens a door to the outside of the building, it automatically creates a pressurization or vacuum. You’ve always got air going in and out of the shafts,” says Chris Marshall, president of SmarTork. This makes the hoistway door harder to close. A motorized operator opens and closes the doors on an elevator, both in the cab and hoistway. But this operator only closes the exterior door to a certain point before a clutch disengages it within the last one or two inches. “You need the spirator to assist that hoistway door to close that additional inch. And that’s where you get the tremendous amount of blowthrough,” Marshall explains. The closer mounts on the interior of the shaft and moves back and forth with the hoistway door. It takes the form of a reel closer with a coil spring inside a spool that powers a cable. With conventional closers, the spring actually winds up when the door opens, meaning the torque and tension are at their lowest when the door is closing that last crucial inch or two, when you need the most force. Most spirators have a flat surface for winding the cable, so the torque is directly proportional to the tension on the cable. As one problem, the spring wears to the point that it occasionally needs to be rewound, resulting in many service callbacks. The SmarTork spirator employs a conical helix design that puts the cable closer to the center of the hub at the critical stage of the windup cycle, yielding greater tension for a given torque. By crossing the torque and tension ratios, it actually increases tension at the door-closed position and reduces it in the open position with the spring winding up. With tension applied more efficiently, the amps required to drive the door operator drop, resulting in power savings. Building owners may qualify for lower taxes by submitting to ASHRAE 90.1 as part of the overall building power savings, and it may improve their EPA and Energy Star ratings, which can also yield lower electricity rates and insurance premiums. Besides a reduction in callbacks resulting from reduced spring wear and lower energy use, the spirator also offers increased safety because it closes the elevator door completely, engaging interlock switches to ensure safe operation.